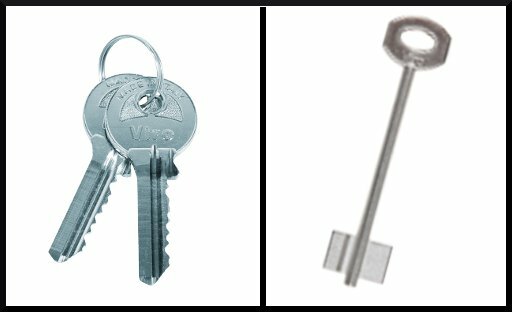 Double bit key or European cylinder? Let’s solve some doubts! “What is the difference between the double bit lock and the cylinder lock?” “Which one is considered more secure?” “Which is more suited to my needs? “: these are just some of the most frequent questions that we receive on our blog. We’ll immediately clarify most of your doubts with three simple points. The main difference between the two types of lock is found at the level of the structure: the double bit locks generally consist of a single body, so they must be purchased, installed and replaced as one piece. To be fair, some manufacturers have “packs of gorges” in their ranges (i.e. groups of levers operated by the double bit key) which can be replaced in their locks; but generally these parts are specific to the brand and model, and therefore lack the perfect interchangeability of the opening mechanism, which is typical, on the other hand, of the locks prepared for European cylinders, as we will illustrate below. 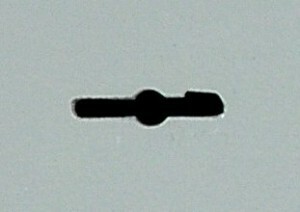 Example of double bit lock. 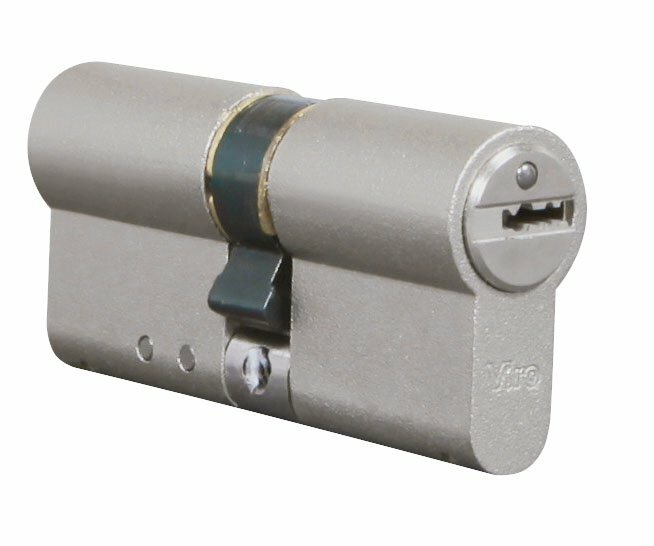 The locks with a European cylinder consist of two different bodies: the lock itself, which is actuated by the cylinder, inside which the key is inserted. For this reason it is necessary to purchase and install two elements: lock and cylinder. Example of lock adapted to receive a European profile cylinder. 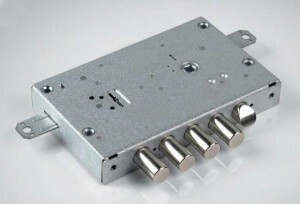 The Viro Palladium high security cylinder. One trick for understanding immediately the kind of lock is to look at the type of key. The left-hand keys open a lock fitted with a European profile cylinder, whilst the ones on the right fit a double bit lock. With regard to the security, they are two very different mechanisms, and it is difficult to declare a “overall winner.”The double bit key has an enlarged shape at the base (in standard versions it is very easy to copy! ), so the lock must have a slot for inserting the key which is much wider than that of a cylinder. This makes it much easier to introduce burglary tools and makes the standard versions of the double bit locks very easy to open by the so-called “Bulgarian pick” . Example of slot for inserting double bit keys. However, at the same time, due to how they are formed (i.e. without pins and counter-pins), the double bit locks cannot be opened by the key bumping technique. Although the basic versions of the European profile cylinder are not immune to the lock-picking or key bumping opening techniques, due to the way they are manufactured they have nothing to fear from the Bulgarian pick. There are also European cylinder versions made specifically very resistant from the mechanical point of view, since they are fitted with drill-resistant pins and pull-resistant reinforcements. Specific security escutcheons have also been developed over the years which, combined with the cylinder, increase the resistance to attacks carried out with brute force (such as those made with drills and chisels), significantly increasing the security level of the system formed by lock+cylinder+escutcheon. The two systems, as we have said, work differently and satisfy different needs. However, we can be sure of a couple of things: the double bit locks with the old design (i.e. those without specific countermeasures against the Bulgarian pick) do not guarantee a good level of security, and a cylinder which can be reached from the outside which does not have specific defenses in the mechanism or is not protected by a security escutcheon is not sufficiently secure. Unfortunately, burglars are always trying to get around any innovative security measure which is created. For this reason, installing a “cylinder plus lock” system can be a good solution to this type of problem. In fact, this allows regular updating of just the cylinder with more advanced versions, which is the component which develops most rapidly, saving both in terms of material and manpower, since replacing just the cylinder is a much simpler and faster operation than replacing the entire lock. This entry was posted in Locks and Cylinders and tagged products, technology, tips on 21 June 2016 by calessandrini.